Here is Paige, Friday evening, after a hard day of play. She fell asleep while I was trying to get dinner ready. She is so sweet when she sleeps! 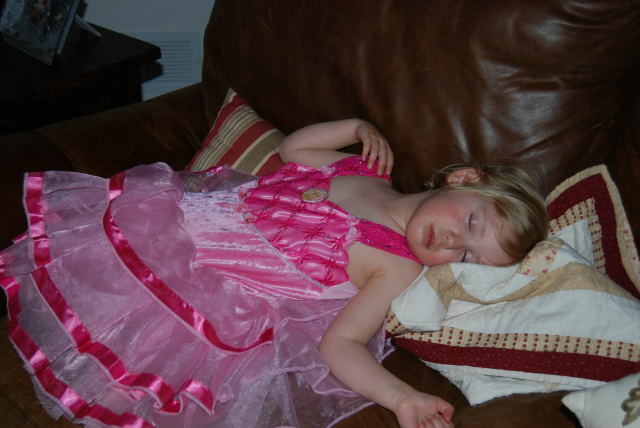 Wow, did Hayden wear her out? Thanks for keeping him all day, it really made my day much easier. I owe you big!